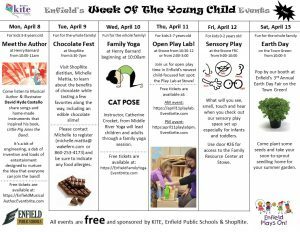 Don’t miss Enfield’s Week of the Young Child. 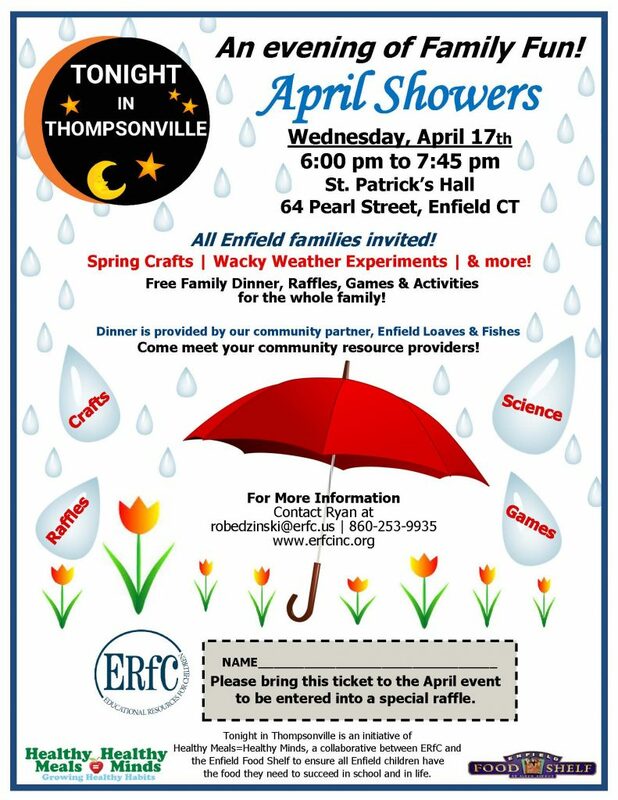 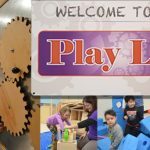 Free Activities during spring vacation include; Author Visit on Monday, Chocolate Fest Tuesday, Family Yoga Wednesday, Open Play Lab Thursday, Sensory Play Friday and Earth Day Festival Saturday. 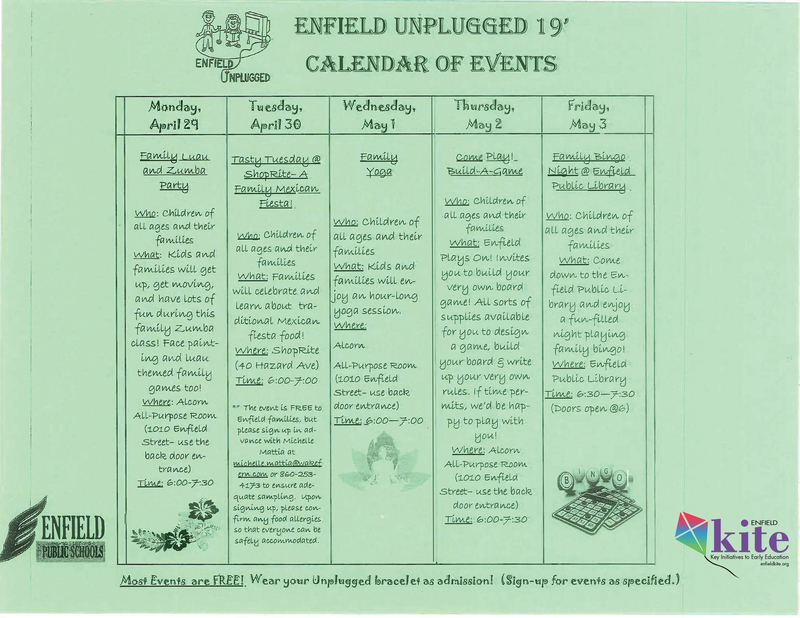 See flyer for locations and ticket information.